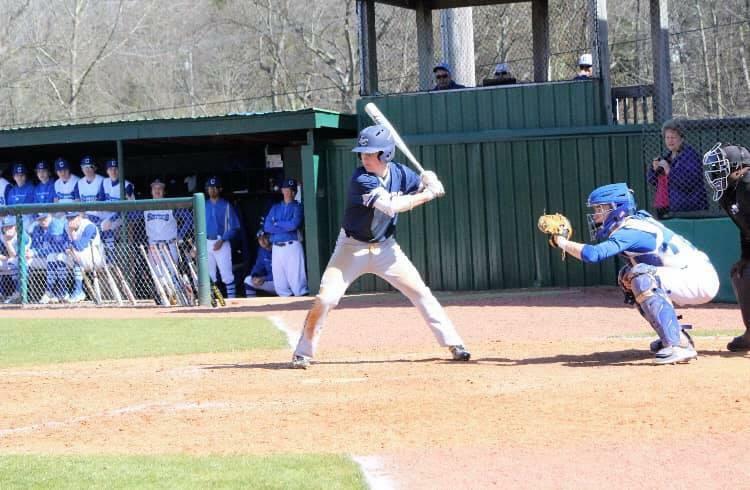 Logan County’s diamond teams pulled off a sweep of their crosstown rival Russellville, but in decidedly different directions Tuesday. Included was an ironic twist of fortune. While the girls were battling down to the end in a matchup of two of the better softball teams in the Fourth Region before the Lady Cougars won 3-1, the Cougars, who went into the game with a region-best 14-2 record, beat home-standing RHS (1-6 going into the game) by a 15-0 count in four innings. 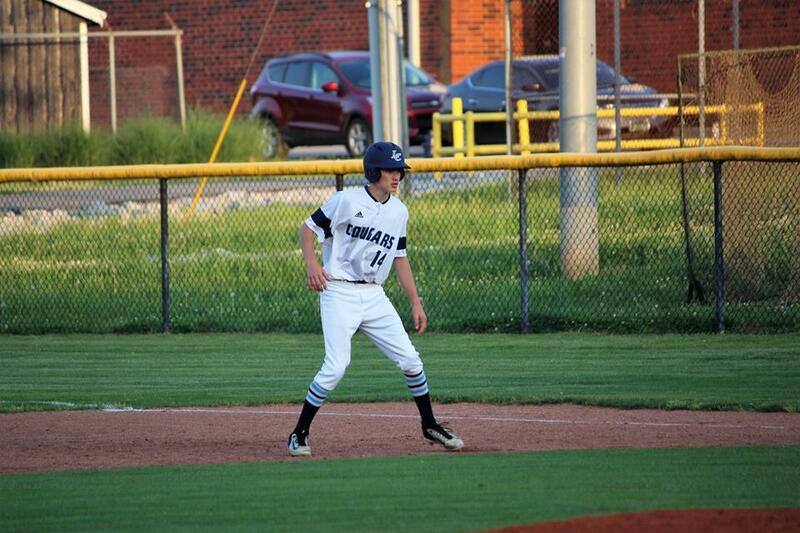 Here’s the irony: Although Panther pitchers Daylan Roberts and Nathan Cates gave up 15 runs (12 earned) on 15 hits and 9 walks, they kept the Cougars’ top hitter, junior hitter Braxton Meguiar, hitless in the game. That’s impressive, but here’s the kicker: Meguiar not only was on the state’s longest hitting streak but it was the second-longest consecutive-games-with-a-hit in Kentucky baseball history. He had hit safely in 34 straight games, just four short of tying the all-time record of 38. Meguiar was officially 0 for 1 in the game. He walked twice and scored both times, but walks count toward on-base percentage, not hits. 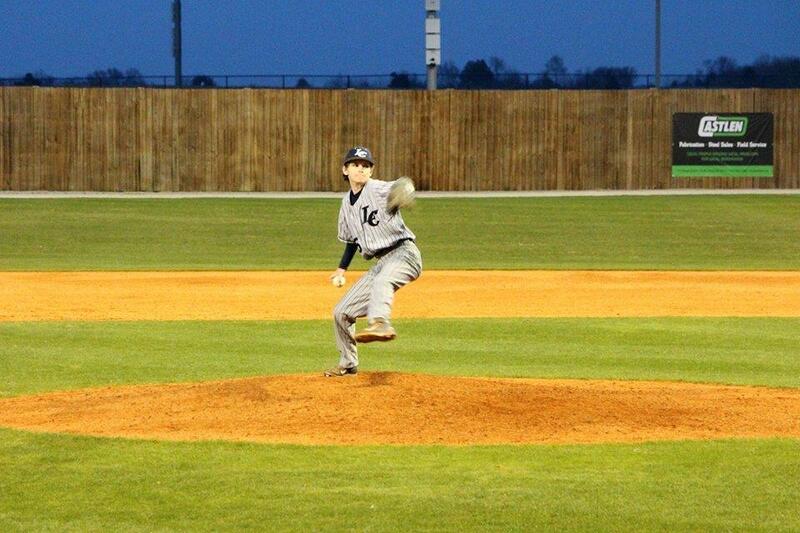 Sophomore Blake Wood pitched the 1-hit shutout. He walked two Panthers and struck out four. Davin Holloway got the lone hit and one of the two walks. The other free pass went to Trenton Hopkins. Both of them stole a base, but they were stranded. Nate Woodall led the Cougars with three hits, two of them doubles, and he drove in two runs. Deuces were wild for Koby Wall and Jacob Smock, who had two each of hits, RBIs and runs scored. Chandler Silvey doubled and scored twice, and Third Bell singled for an RBI and scored. Bell and Parker White walked twice each with Smock, Silvey, Meguiar and Trevor Scott each walking. Braxton Baptiste joined Wall, Smock, Silvey and White scoring two runs each. Also scoring were Bell, Dylan Penick and Jason Hendrix. Smock, Bell, Penick, Meguiar, White and Baptiste all stole a base. Silvey, Penick and Scott were hit by a pitch each. In a tremendous pitchers’ duel between two young pitchers, the Lady Cougars got the win to improve their record to 9-2. The Lady Panthers were impressive at 10-4. 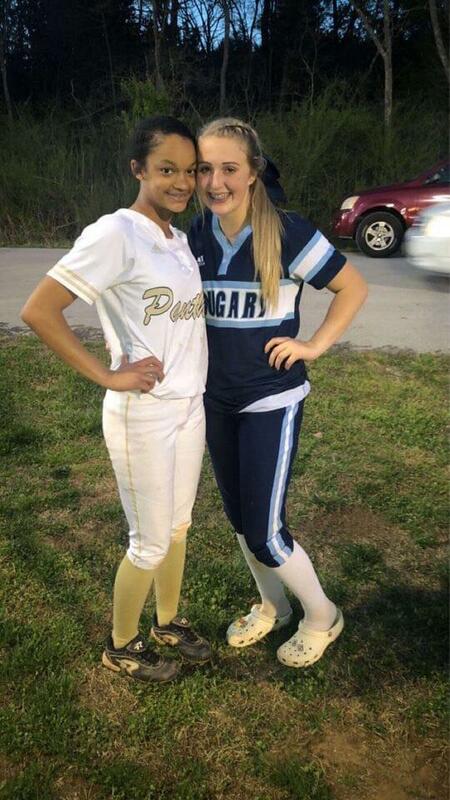 Freshman Shelby Gettings was the winning pitcher with the well-pitched loss going to RMS eighth grader Amiyah Collier. Russellville didn’t report statistics from this game on Game Changer or KHSAA Scoreboard. The run was on a homer by Collier. Gettings threw a 4-hit, 2-walk, 1-run jewel for the win. Junior catcher Kennedy Nichols had three hits, including a home run, and she drove in a second run. KJ Page tripled among her two hits and was credited with the other RBI. Lilly Newman had two hits and Sydney Lee doubled for the other Lady Cougar hit. Jillian McLellan, Bre Croslin and Lee got the only walks off RHS pitching. Logan Assistant Coach Michael Crawford said, “Wow, what a game last night! A pitchers’ duel. Great job on the mound by Shelby Gettings. Solid defense behind her, and Kennedy Nichols supplying an insurance run with her home run. Glad to come out on top of a 3 to 1 district game. The mothers of the pitchers were proud of their daughters and the atmosphere of the game, as evidenced by their Facebook comments afterwards. 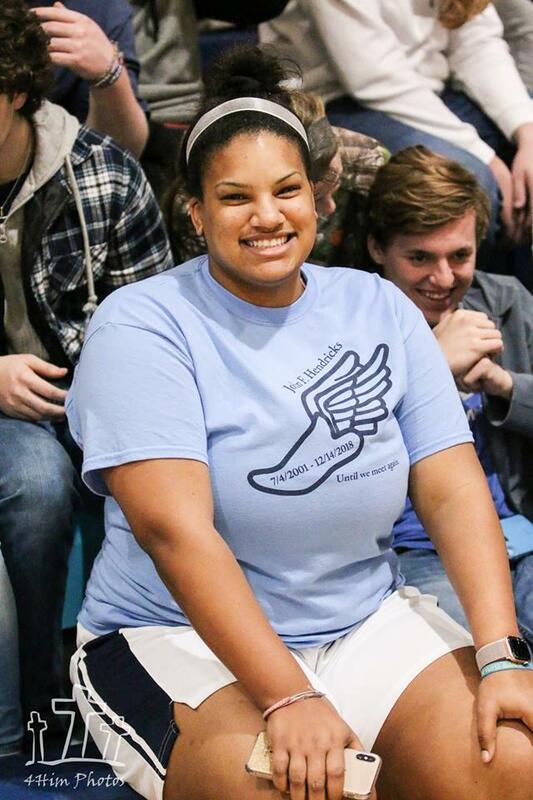 Elizabeth Stuart Gettings: What a great game between LCHS and RHS tonight!! Proud of both teams!!!! Love so many on both teams and always find myself cheering for both!! Miyah is absolutely amazing and killed it tonight in the circle and at the plate! Proud of Shelby and so thankful she has healed and is back at what she loves. Love that we can have friendly rivalries and cheer for girls from both schools.... such awesome kids! Ashley Collier: Miy Girl Dropped another ?? tonight! LC wins 3-1. But what a game!